Branding. Web site. Photography. Flyers. 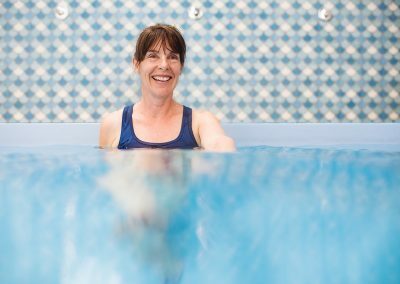 Fresh from completing her aquanatal (aqua = water and natal = relating to pregnancy or birth) training, Sue came to us with a big idea. Well, a big idea, years of experience and a fire in her belly to help women embrace pregnancy as a season to focus on their health and well-being. 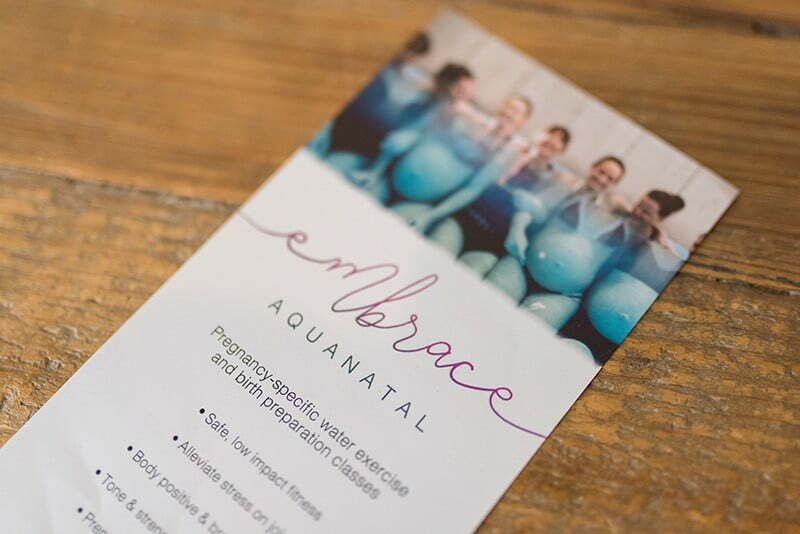 Aquanatal classes were a new thing in Newcastle, so we needed to clearly communicate exactly what aquanatal is to Sue’s potential clients. I am so proud of my website! It’s visually appealing, easy to navigate and captures the essence of my business. The Marketing Side also worked on branding and photography because they know that looking professional is professional! I am 100% happy and so grateful for your support and encouragement to get my business out there. Thank you. The logo echoes the swirling, fluid feel of being weightless in water and the soft feminine curves of a pregnant body. If you keep your eyes peeled, you’ll probably spot Sue’s car zipping around the local pools bearing a beautiful bump and Embrace Aquanatal branding on the back. 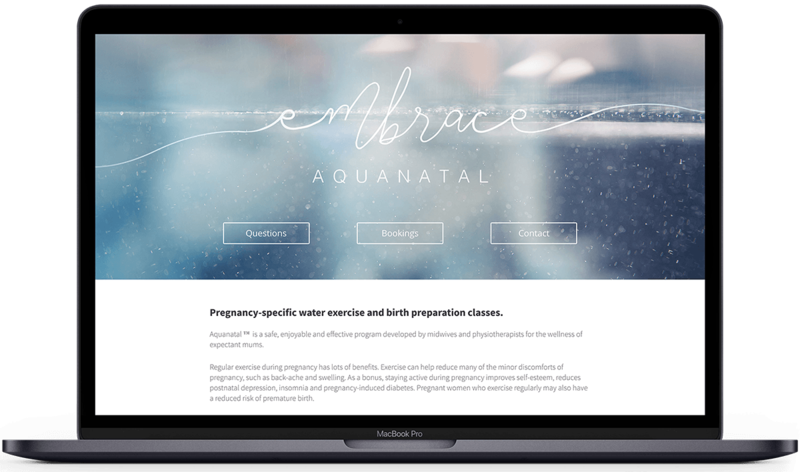 Sue wanted a very simple site that gave Embrace Aquanatal a digital presence and that communicated her passionate support of active pregnancy and birth. The site also needed to host downloadable forms for mums to fill out and bring to class, as well as a comprehensive FAQ section to answer the many questions that arise. 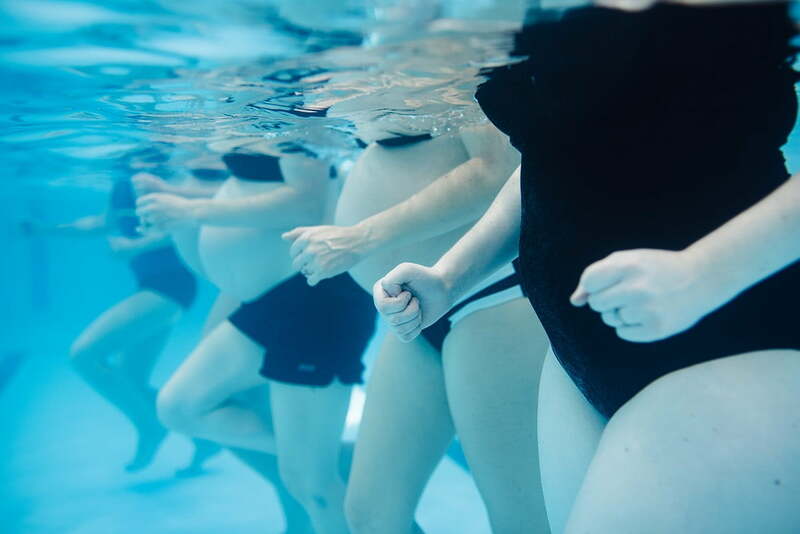 How do you market pregnancy-specific water exercise and birth preparation classes? With stunning photos, of course! 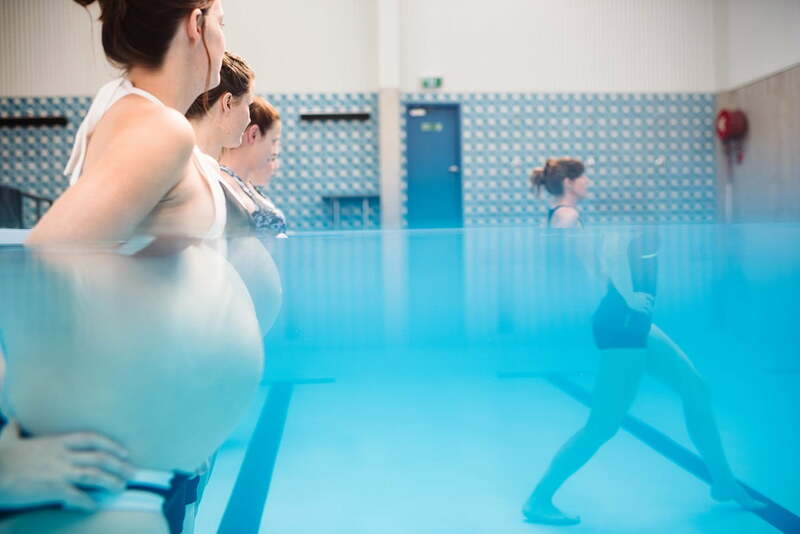 We planned a photo-shoot with some local pregnant mummas to show off those beautiful bellies and bodies working out in the pool. 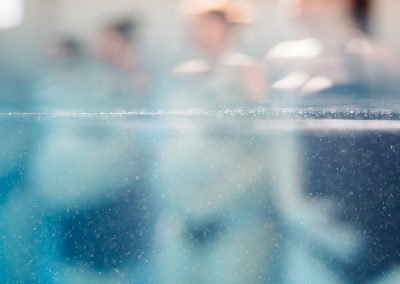 We gave the talented Lee Illfield a tricky brief that included underwater shots and a nose plug. Lee captured all the magical photos from that day and managed to tick underwater photo-shoot off her bucket list. 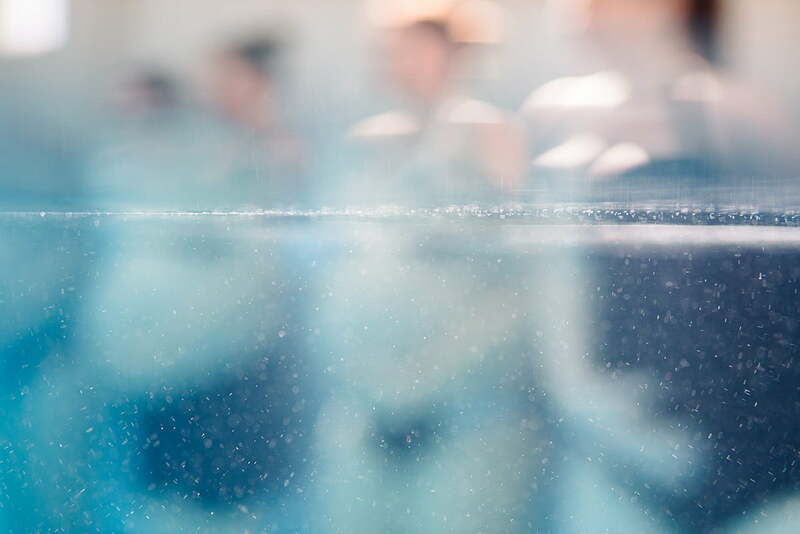 If looking at these photos makes you want to jump into a pool, we’re sorry. Not sorry. Sue needed tools to promote Embrace to other health care professionals and pregnant women. We designed a simple DL flyer that combined pregnancy exercise tips with a call-to-action and info on how to book into a class.